Bob Nolan began work as a volunteer with Deafblind UK in 1998 and was a member of the original Scottish Management Committee. 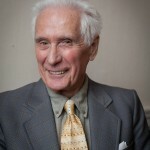 When Deafblind Scotland came into being at the April 2001 AGM, Bob was elected as chairman of Deafblind Scotland and has been re-elected several times since. He joined Shell in London in 1981 as a computer programmer and has been with Shell for 30 years and is currently based in Aberdeen as an IT Support Manager for Shell Europe. 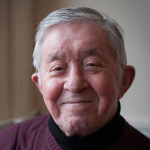 Bob lives with type 2 Usher Syndrome and has now lost 95% of his sight Bob is committed to making the most of his life and is very grateful for what he has. In addition to swimming and running he has re-discovered the open road via his tandem, which he uses to keep fit and raise money and awareness for Deafblind Scotland. Michael Rooney worked at Blindcraft, Glasgow from 1982 until 2002. During his working time he was shop steward and Deputy Convenor. In 1986 Michael came into contact with one colleague who introduced him to Deafblind Scotland and he was elected a board member in 2008. Michael’s dual sensory impairment is as a result of Rubella during pregnancy. He was born during wartime and little was known about the effects of this at that time. As he is getting older his condition is deteriorating but he is determined to make improvements for younger generations. This was his main reason for joining the board and he is now in his second term of election. One of his main aims at the moment is to achieve a free pass for guide/communicators whilst travelling by train with a deafblind person. James Orr Ross joined Deafblind Scotland in June 2011, he has been employed in the fields of personnel, training and industrial relations for more than 40 years, 25 of those at directorate level with Strathclyde Regional Council, James is chartered FCIPD. 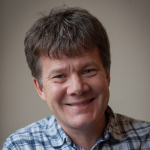 James has over 16 years experience as a Director/Trustee of various charitable organisations. 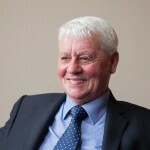 He is currently a non-executive director of Headway Ayrshire, providing services to clients living with acquired brain injury; CASS, providing independent citizen advocacy services to people living with learning difficulties, and Aspire2gether, an organisation assisting individuals move into learning, training, volunteering and employment. James believes that non-executive directors should be the custodians of the governance process and that they should not be involved in the day-to-day running of business but should monitor the executive activity and contribute to the development of strategy. Rogan Welsh is a retired Shipmaster and Naval Reserve Officer. Rogan has been associated with Deafblind Scotland since 2001. In 2012 Rogan was appointed position as a Director. As a member of the Building Committee Rogan is involved with the Field of Dreams project and understands the importance of this new building for deafblind people. In his spare time Rogan enjoys are home maintenance and undertakes language courses with The Open University. He is also involved with the West Dunbartonshire Health and Social Care Partnership and NHS discussion events. Alison has been a service user with Deafblind Scotland since 2000 when she was diagnosed with Retinitis Pigmentosa. Alison has been deaf since she was two years old. 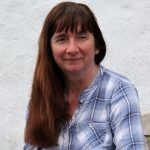 Alison has a multi-skilled background and has worked in a range of places including a florist shop, Scottish Power, Supply Nursery Nurse, Community Advocacy Officer and she is now a Massage Therapist. 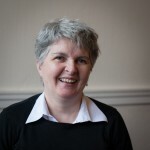 Alison was elected as a Director of Deafblind Scotland in 2013. She is a member of the Scottish Advisory Group on Deafblindness Committee. Alison has been an active fundraiser for Deafblind Scotland and has raised over £8000 doing a Titan Crane Abseil and two challenging Charity Treks in Nepal and Iceland. Alison is a mother with three grown up children and she cares for her dual purpose working dog and a cat. In her spare time she enjoys knitting, reading, Sudoku, Scrabble and walking. 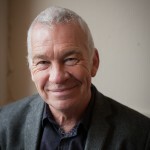 John Owens has been serving on the Board of Deafblind Scotland since October 2011. Following a long career in Social Work as a practitioner and manager he brings a good understanding of public services and the challenges facing people who rely on these services and supports to live their lives to the full in their community. Equality and Rights are major drivers in his approach and he continues to champion inequalities whenever it arises. Having developed and managed successful projects and services, he is a keen supporter of innovation and encourages reflection and continuous improvement rather than status quo. Running marathons and distances over 26 miles, even if they are over mountains, are regular days out for him. With age, the bike is becoming more of an interest alongside 60s and 70s music. Family remains the major priority and the first grandchild is an energiser and a new role that continues to teach about life. Issy studied at Glasgow University (Education Faculty) and graduated with a Bachelor of Education. She then went on to do a post grad at Oxford Brooks University and qualified to become a teacher of the deaf. Issy went onto work in a variety of educational settings with deaf and deafblind children, 15 years of which were at managerial level. Issy has Usher type 2 and regards herself as completely blind but continues to enjoy playing the flute, swimming and going out and about with her trusting guide dog, Ice. Twimukye has been working with the Poverty Alliance in Glasgow as a Senior Fieldwork Development Officer since 2008. 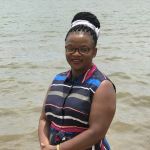 Previously, she worked as Executive Director of the National Union of Disabled Persons of Uganda (NUDIPU) in the late 1990s and as an independent consultant on disability and development issues in Eastern and Southern African regions until 2000. She has extensive experience of involvement with a range of third sector organisations in Scotland including on the Board of the Scottish Refugee Council (2008-2014), Member of the Board of Directors of One Parent Families (2013-2017) and Bridging the Gap (2014-March 2017) Chair, Karibu Scotland Chair (2006 -2007 and member of the Board till 2017). Twimukye has been on the Board of Deafblind Scotland since August 2016.